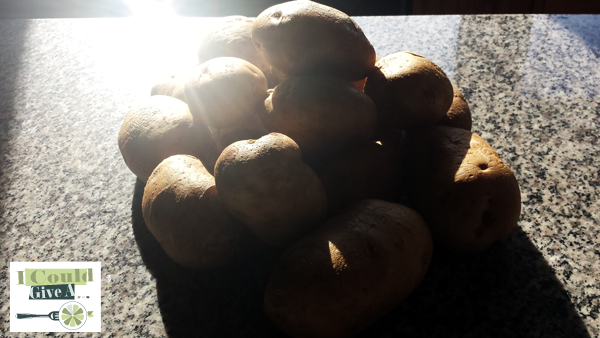 We have a lot of potatoes left from our harvest – about 50 pounds. They grew so abundantly that we are going to be eating them for a while and we make a lot of different things to ease the boredom of plain ol’ taters. 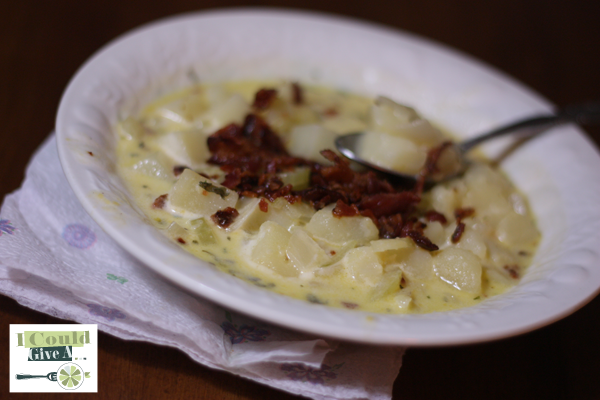 A few weeks ago I made a great potato soup that’s really thick and cheesy and today Dan made some that is a little different and even better. 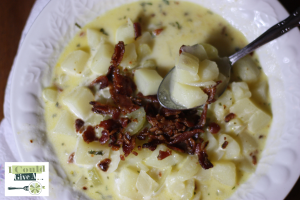 Soupy, cheesy, warm and topped with bacon – and it’s my opinion that bacon just makes everything better! Since learning that ZipList is going away, this is also the first post using a new plugin and I’ll be giving it a go for a while, but I do love ZipList and I am really going to miss it. Behold! Soup of Potatoes by Dan! Dan's potato soup is cheesy, warm and topped with bacon. What's the use of having a husband that doesn't give you bacon? Add broth, potatoes, onion, celery, and butter to pan and bring to boil. Reduce heat to low and cook for 15-20 minutes. Reduce to simmer, add milk, cheese, and salt and pepper to taste.